Generally speaking, when thinking of electricity, we think of it as something external to our human bodies: the naturally occurring lightning and human created technology being two said instances. There is, however, a form of electricity that is prevalent in every living creature: bioenergy. 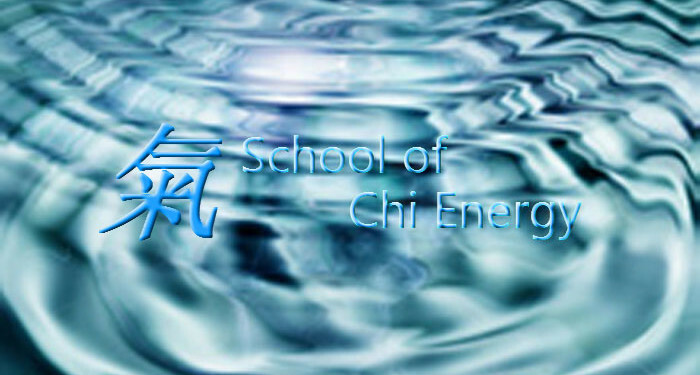 Qi Energy is the electric energy associated with living organisms. Electricity, defined by Merriam-Webster, is as follows: a fundamental form of energy observable in positive and negative forms that occurs naturally (as in lightning) or is produced (as in a generator) and that is expressed in terms of the movement and interaction of electrons. Bioenergy is the electric phenomena related to living organisms It is bioenergy that enables a shark to map the ocean floor. It is bio-electromagnetic phenomena that enable migratory birds to travel great distances at the same time each year with the accuracy we have only been able to reproduce with maps and GPS. It is bioenergy that enables the electric eel to generate large fields of current outside their bodies. The difference of electricity vs. bioenergy is in degree, not in kind. Whereas a lightning bolt can exceed temperatures of 54,000 degrees Fahrenheit (30,000 degrees Celsius), that same current runs through the human body, just on a smaller scale. In fact, the human body runs largely off of [bio] electricity and has organs dedicated to sensing electromagnetic impulses, both inside and outside the human body. The pineal and pituitary glands are both directly tied to the human body’s ability to sense and actively experience electromagnetic phenomenon. The pineal gland is the evolutionary descendant of our ancestors’ ability to perceive light. It also “regulates the circadian rhythms of the body, biological rhythms that are attuned to the day-night cycle,” (Celtoslavica, “Electricity and Human Consciousness); these “rhythms” can be and have been disrupted by electromagnetic fields, both naturally occurring as well as man-made. The pituitary gland “controls and influences all other hormonal organs which report back to the pituitary gland” (Celtoslavica, “Electricity and Human Consciousness); in fact, the pituitary gland is largely responsible for the overall functioning and efficiency of the human nervous system. The nervous system in human beings is based entirely off of the ability to transmit electric pulses. Every cell within the human body pumps ions (e.g. that which makes up the quantum field), in and out of the cell for energy purposes; this is called the Sodium-Potassium pump, and can be found in all animal life. Said energy, in the biological animal, is called “adenosine triphosphate” (ATP); biologists and biochemist alike have noted that ATP can be neutral, or carry a charge (plus or minus), and is, infact, a charged particle which the cells use for energy. ATP is the final product of the digestive cycle and further exemplifies the human being’s connection (and ability) to experience and manipulate the electromagnetic fields that permeate the Universe. As we look from large-scale physics, e.g., the lightning bolt and the sodium-potassium pump, to smaller scale electromagnetic phenomenon, we find ourselves in the realm of quantum mechanics. Light is an electromagnetic phenomenon. Light is both a wave and a particle. In terms of quantum mechanics, electricity and light are the same. The oscillations of the impulses create the divergent effects. Microwaves, radio waves, even the non-lethal weapons of the US Army (such as the Active Denial System) are based out of electromagnetic fields. Qi, too, is an electromagnetic phenomenon. Qi is energy; light energy; bio-electromagnetic energy; electricity. The degree of strength in an electromagnetic impulse is the difference between the heart pumping vs. a heart attack. When building qi, it is important to understand, important to know, that the electricity you are both introducing to your body as well as augmenting within your body, can be controlled/manipulated by your mind. The design of the human body features many organs attuned to electromagnetic phenomena: the eyes register individual photon packets; the tympanic membrane vibrates the mechanical wave of sound; the brain creates an electromagnetic field that is both separate and different from that which the heart generates. All this is to say that not only do human beings interact with electricity, we are fully capable of cultivating and controlling the bioenergy we generate via our own bodies. inter-connectedness we have with the Universe, and our abilities to move past the mundane.